Because I can't think of anything decent to post tonight, here's a semi-obligatory picture of me from a Halloween long gone. 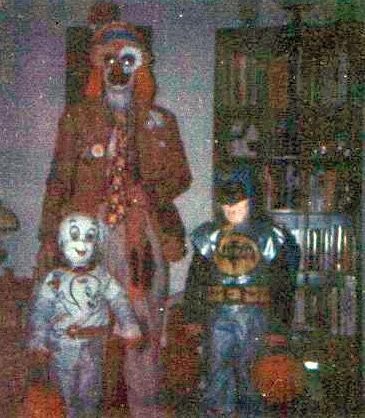 The classic Ben Cooper Batman costume, 1977 edition. I don't really do Halloween costumes any more becuase I like who I am and don't need to pretend to be someone I'm not. The most important thing life, after all, is to be yourself. Unless you can be Batman. Always be Batman.